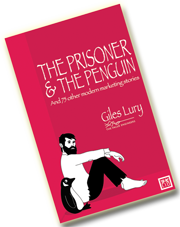 The story of Oswald, Charles, Ub, Hugh, Lillian, Mortimer and Al. The soon to be nonagenarian Mickey Mouse and Walt Disney are synonymous. However the tale of the birth of Mickey is full of other interesting characters and some lovely little plot twists. The story of the world’s most famous mouse starts with a rabbit – Oswald the Lucky Rabbit. 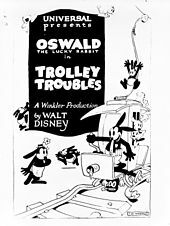 Oswald was a cartoon character created by the Disney studio for film producer Charles Mintz, who distributed the resulting films through Universal Studios. In early 1928, with the series doing good business, our hero Walt Disney goes to our soon-be-exposed-as-a-‘villain’ Charles Mintz and asks for an increase in the budget. Much to his surprise and anger Walt’s request isn’t met with enthusiasm. In fact he is asked by Mintz to take a 20 percent budget cut! 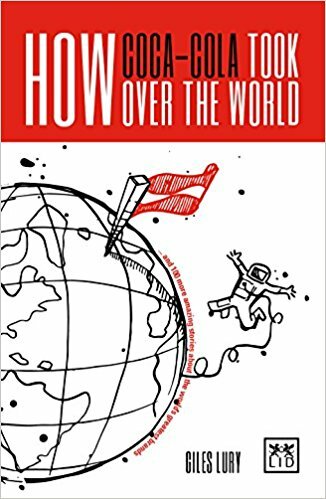 Mintz points out that not only do Universal own the rights to the Oswald character but that Mintz had already signed most of Disney’s current employees to new contracts. Walt refuses a new deal and only returns to work to produce the final Oswald cartoons he contractually owes Mintz. Disney dusts himself down and decides to start again. He sets up the new Disney Studio, where he is joined by a few of those who have remained loyal to him. 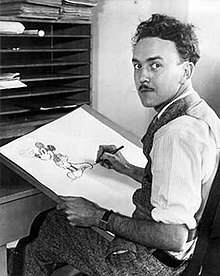 They included animator Ub Iwerks, an apprentice artist, Les Clark and Wilfred Jackson an animator who would go onto become an arranger, composer and director. One thing Disney makes sure of, having learnt from his recent experiences, is that he should own all rights to the characters produced by his company. So Disney asks Ub to start work on developing new characters and Ub tries sketches of various animals including dogs and cats, but Walt rejects them. Ub then draws and likes a female cow and a male horse but these too are rejected, though they would later turn up as Clarabelle Cow and Horace Horsecollar. A male frog is also rejected. It would later show up in Ub Iwerks’ own ‘Flip the Frog’ series. In the end the inspiration comes from Walt’s past and from a tame mouse which would visit him at his desk at Laugh-O-Gram Studio in Kansas City. It was there in 1925, that Hugh Harman another animator drew some sketches of mice around a photograph of Walt Disney. Ub comes across those drawings and is inspired to develop a new mouse character, which Walt loved. Walt named the new character “Mortimer Mouse” and while his wife, Lillian, loves the character she hates the name. She convinces Walt to change it. The new name was “Mickey Mouse”. 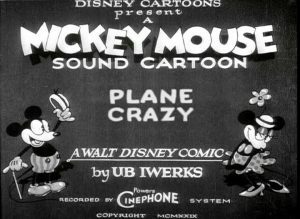 The first film featuring Mickey is ‘Plane Crazy’. It isn’t the immediate success everyone hopes for. It is made as a silent film and given a test screening on May 15, 1928, but doesn’t impress the audience and fails to pick up a distributor. In the meantime Walt goes to see The Jazz Singer with Al Jolson. He comes out inspired and commits himself and his team to producing the first fully synchronized sound cartoon. This film is ‘Steamboat Willie’ which features not only Mickey but Minnie Mouse too. It proves to be an enormous success becoming the most popular cartoon of its day. Walt is involved in all aspects of the film development, co-directing it but in one regard it is all him. Mickey is voiced by Walt himself, a task in which Disney takes great personal pride. It’s a role he will continue to play until 1946, by which time he was becoming too busy with running the studio. However, he will still do occasional stints and performances. Mortimer makes a comeback as our second ‘villain’. In 1936, in ‘Mickey’s Rival’ the world is finally introduced to a character called Mortimer Mouse. Where Mickey is short, rounded, sincere and a little clumsy, Mortimer is tall, has whiskers and a much more pronounced snout, complete with two prominent front teeth. An appearance that for some makes him look more like the ‘rat’ he is shown to be. 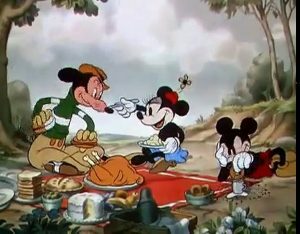 In the film Mortimer gate-crashes a picnic Mickey and Minnie are having and starts sweet-talking Minnie, who initially enjoys all the attention. Mickey is naturally jealous. Things change however when Mortimer’s antics annoy a bull, and Minnie’s life is put in danger. Mortimer flees, leaving our hero Mickey (and his car) to save the day and his beloved Minnie. Since then Mickey has gone on from strength to strength and continues to be a huge success. In 1978, he becomes the first cartoon character to have a star on the Hollywood Walk of Fame and on November 18th 2019 he will reach the grand old age of 90.